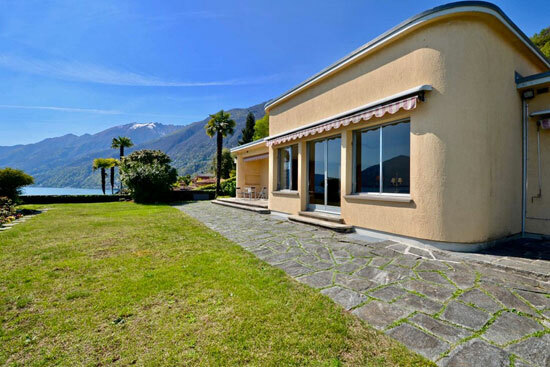 Thanks again to Max for letting us know about this 1930s Carl Weidemyer-designed Bauhaus villa in Ascona, Switzerland. The house is rather intriguing, but sadly I don’t know a great deal about its past or indeed, the man behind it. 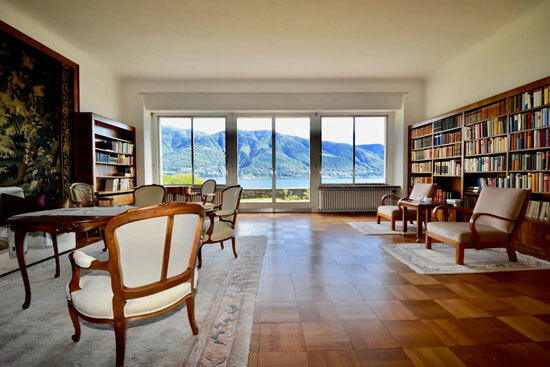 From what I have read, the German architect was a convert to modernism, designing a number of buildings in the early 20th century, not notably the Teatro San Materno in Ascona, Switzerland. That buildings dates back to 1928, with this one following in the same location in 1934. 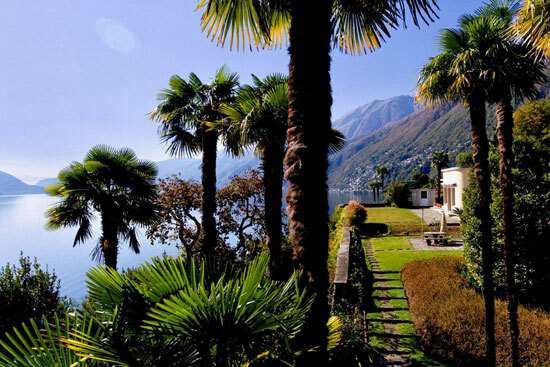 That location is rather stunning too, looking out over Lake Maggiore. As you can see from the photos, this is the view you want to wake up to each and every morning. 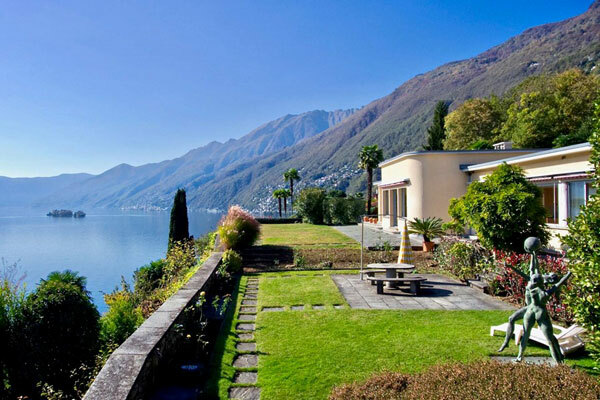 The hills, the greenery, the lake and the blue sky. Very special. 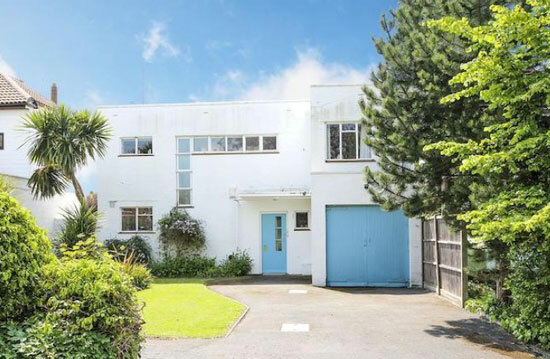 As for the house, that’s a modernist / art deco affair as far as I can see. 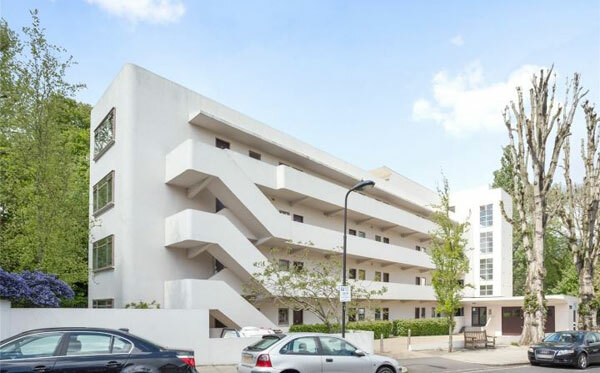 Pitched as a Bauhaus villa, it seems to have a few more curves than you would expect from that kind of place, but we are definitely looking at modernism from the 1930s. 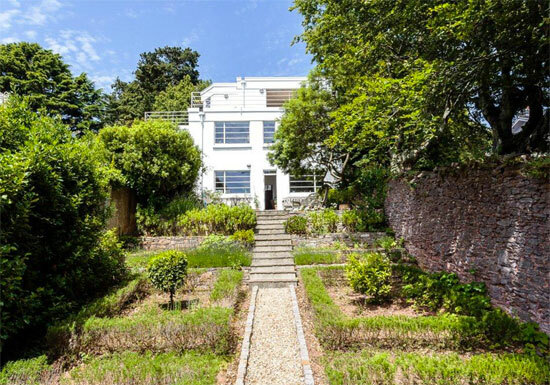 I’m not sure the exterior of this single-storey house is necessarily its ‘calling card’. This one sells itself from the inside. It doesn’t look to have changed very much. It is a listed monument and perhaps someone has carried out a particularly faithful renovation. But I get the feeling it has just been well maintained. 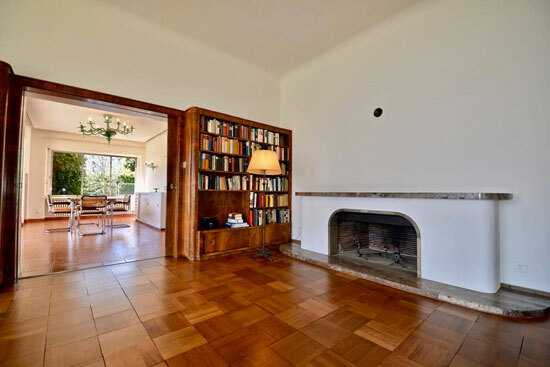 Check out the wooden floor, the shelving, the wonderful doorway that frames the views from the house and the fireplace. It’s just frustrating that we don’t get the full tour in photos. There’s also a video on the listing which again, only covers a part of the house. Yes, the views are magnificent, but I would love to know if the rest of the house is as faithful as the main reception. It does have more space than you think, with the interior covering around 393 sq. 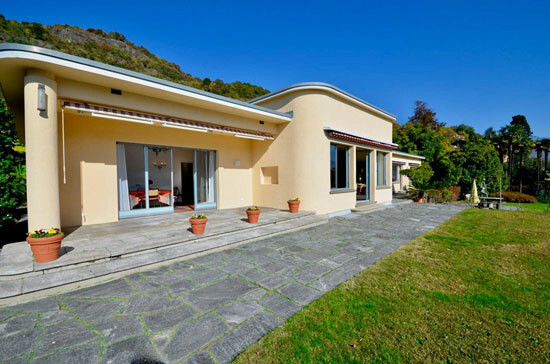 metres and containing seven bedrooms and four bathrooms. 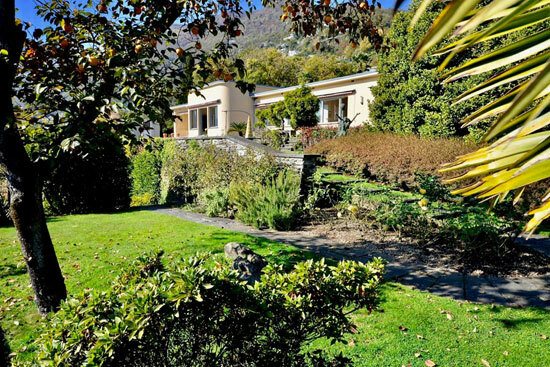 There is also a sizeable terrace to take in the scenery, a plot of around 2,273 sq. 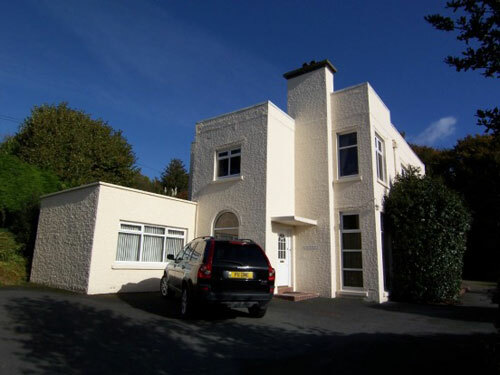 metres and garages too, from which you can easily access the house. That’s pretty much all I know. Well, I know one other thing, which is the price, roughly converting to around £4,547,471 at today’s rates. 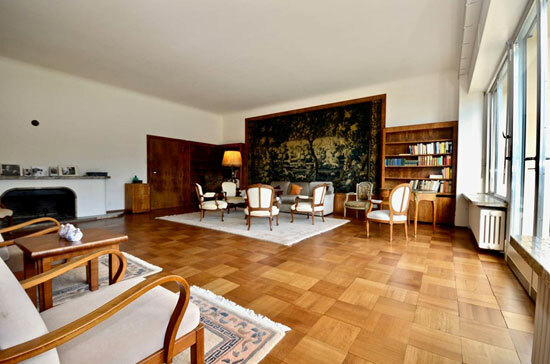 That’s right, listed buildings in lakeside locations in Switzerland don’t come cheap. Images and details courtesy of Wetag Consulting. For more details and to make an enquiry, please visit the website.